This article is a testament to the ZOIA. 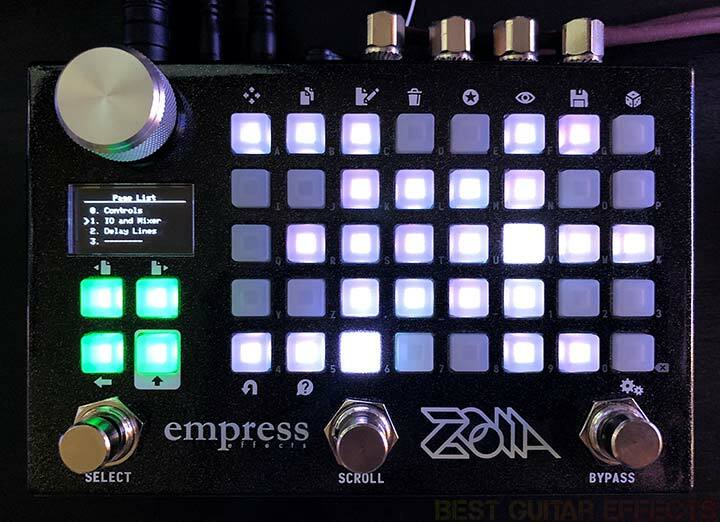 It’s part memoir of the pedal’s development, part tutorial and resource, and there’s some commentary about what I think the ZOIA’s arrival means for the pedal world as a whole. I got to spend some quality time with one of the early prototype ZOIA pedals after it was originally shown at The NAMM Show 2018, beta-testing various iterations of the pedal’s firmware all the way up to the final hardware which is now shipping. Having experienced ZOIA firsthand during various stages of its development over the past year, I want to share my insights about this remarkable instrument. Steve proceeded to give me an explanation about the ZOIA that shattered my preconceptions about guitar pedals. And it all started with the name. So who is Zoia Horn? 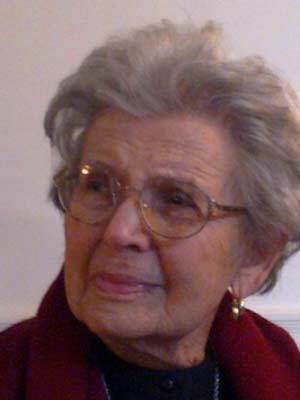 Zoia Horn (1918-2014) was known as an intellectual freedom fighter and activist who once did jail time for refusing to testify against library patrons, actions that were a matter of conscience. 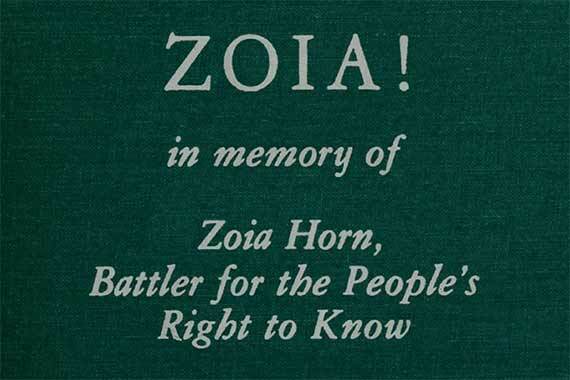 After her defiant act of patriotism in service to her fellow citizens, Zoia Horn continued to be outspoken against government overreach, unethical legislation (i.e. Patriot Act), and any and all attempts to undermine freedom of thought, speech, and public debate. And what’s the ZOIA pedal? The ZOIA is a platform that provides a massive library of building block modules and the freedom to connect these modules in limitless ways to create synths, instruments, and effects. Sounds pretty advanced, huh? It is. 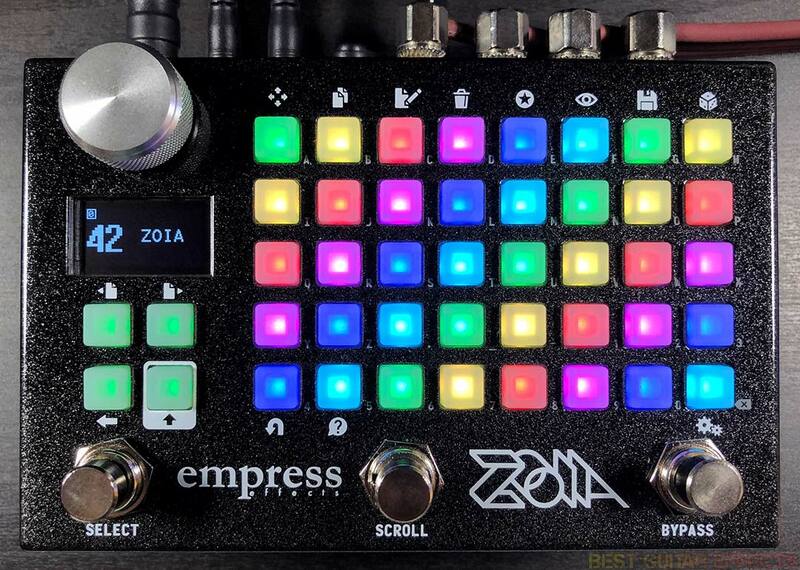 But Empress have attempted to distill all of this immense power into a compact interface that will get users away from the keyboard and mouse and interacting with ZOIA on its own or in tandem with other music gear. 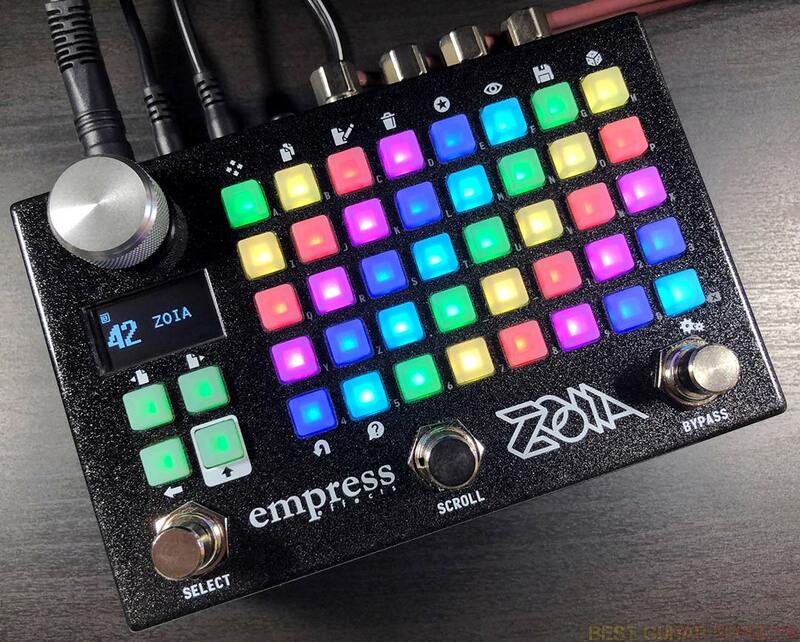 While Steve also emphasized early on that the ZOIA is “a complete modular synth in a pedal”, thankfully, Empress have also included a growing suite of pre-made effects modules that give musicians with a more “effects pedal” mindset (i.e. guitarists) some excellent starting points to quickly gain access to some high quality sounds without requiring a deep understanding of ZOIA’s modular framework. 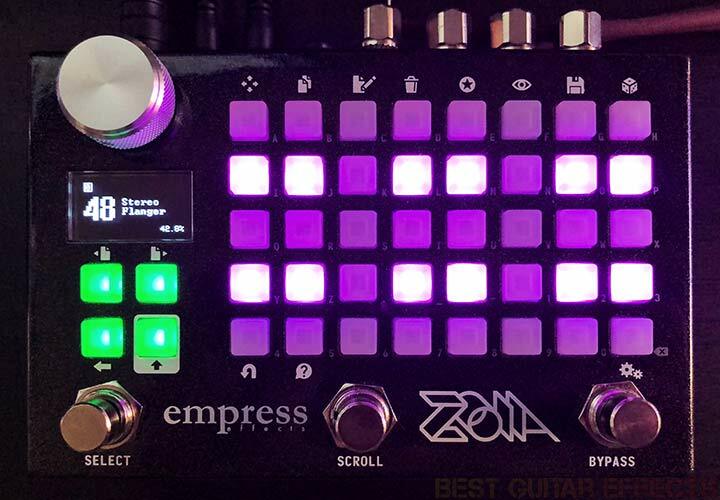 The inclusion of ZOIA’s pre-made effects modules, including reverb algorithms derived from the Empress Reverb, lets musicians sample some of the high quality sounds they can build from scratch in ZOIA with a bit of know-how, and I’d argue this makes ZOIA a better, more approachable pedal. While ZOIA has remained true overall to its modular perspective, there are enough pre-made effects modules (which still contain modular aspects) to give beginners some great effects to start with and help novices wade into the modular waters of building things from scratch without fear of sinking. But even if you’re intimidated or reluctant to swim out into the deep end, just know that the real fun and the potential of ZOIA is in seeing just how far you can go down this rabbit hole of possibilities. Yes, making the most of ZOIA requires a deeper understanding of how effects and synthesizers are made, but you’ll learn a lot just by powering up the pedal and looking at the inner workings of various preset patches. And once you feel brave enough, you can start making your own patches from the ground up. You may be quite surprised by what you’ll find on the other side of the looking glass, particularly when, thanks to ZOIA, you begin achieving sounds from a pedal that you never thought were possible. 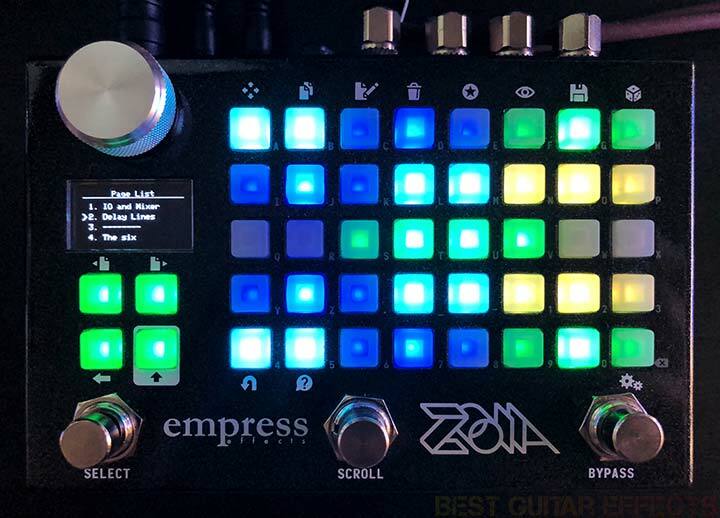 Empress Effects provides plenty of documentation out about using ZOIA and its modules, and there are many great tutorial resources available on YouTube. (I’ll link to a few of those later.) But after having used the ZOIA at various stages of development throughout the past year of development, I want to share my biggest tips for newcomers. Are you an absolute ZOIA noob? Are you afraid of manuals? Do you have no idea what’s going on with this thing? These are the most important things every ZOIA user needs to know. CREATING MODULES – Touch any empty unlit block on ZOIA’s 8×5 LED grid to bring up the Select Category screen. Pick a category by turning and clicking the knob. Now you’ve entered one of the Select Module screens. 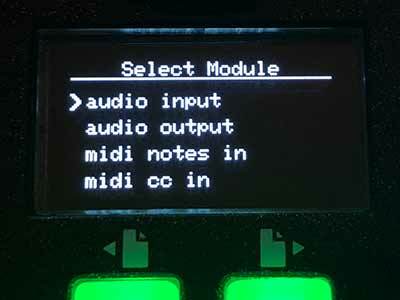 Pick your module, set its options if necessary with the click knob, and then click “Done?”. Congrats, you just made your first module. 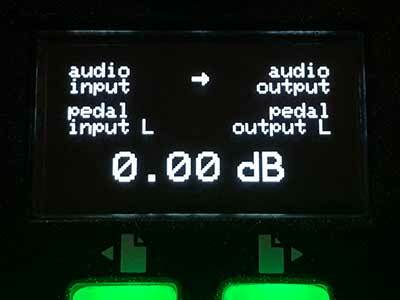 INPUTS & OUTPUTS – If you load up a blank patch and activate the pedal, you’ll hear nothing at the outputs. The first and most important thing to do is make the pedal output(s) and/or pedal input(s) available for use. Simply touch a block to enter the Select Category screen, click on interface modules, and then select either audio input or audio output depending on what you need for your patch. The I/O can be either mono or stereo depending on your needs, and the audio output module even has an optional gain control which can be useful when you’d like to have a master volume control. Yes, you can even use the I/O separately for Pre/Post effects or other unique routing like processing guitar and vocal signals separately. CONNECTING MODULES – So let’s say you’ve dropped in audio input and audio output modules to process external audio (like a guitar) on the left audio channel. You still won’t hear anything from the pedal input at the pedal output unless you connect their associated modules. To make a connection simply touch the two module blocks that you want to connect at the same time. Boom! You’ve just kindled fire. You’ll also see the connection strength between the two selected modules which typically defaults to 0.00dB. DISCONNECTING MODULES – You’ll often start down a path and end up changing your mind later. To disconnect any two connected module blocks, follow these two steps: 1. Simultaneously touch the two connected module blocks that you want to disconnect. (The connection strength screen will appear.) 2. Press + to disconnect the two module blocks. Easy. DELETING MODULES – Don’t need a module anymore? 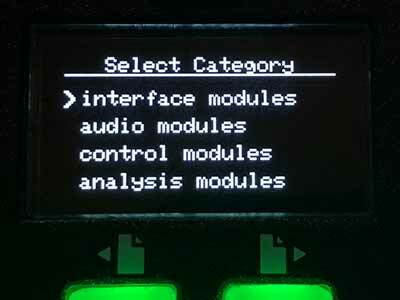 Touch the module to select it. Then hit + to delete it. Easy! SAVING – While creating patches you’ll want to make a habit of saving often. Simply push + to save a patch. Those absolute basics should get you tinkering around. Go forward, grasshopper! You’ll be a legendary power user in no time! ZOIA is pretty much a DIY workstation. It’s all about getting your hands (err, fingers?) dirty and creating things. Whether you’re making effects or synths or hybrid combinations of the two, you’re going to spend a lot of time building things from scratch, so it’s very important to make things easier on yourself by getting organized and optimizing your workflow. Here are a few handy workflow tips and some things to keep in mind as you start building your own patches. 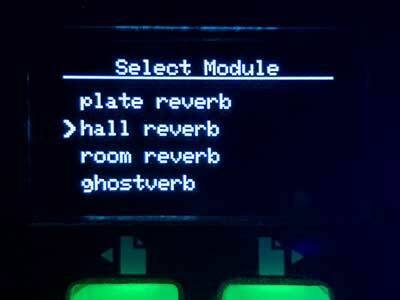 PATCH TEMPLATES – It would be helpful to make a few of your own templates based around how you normally use the pedal. Say you’re a guitarist and typically just use the Left Input and Left Output in a mono configuration in your pedal chain. It will be very helpful to make something like a basic “Mono In and Out” patch, so you don’t have to manually drop in audio input and audio output modules each time you’re going to start working on a new patch. Simply copy your template to a new patch location by turning the knob while no modules are selected to bring up the Patch List, then press + to copy a patch to a new location so that you can edit it while leaving your original template intact. Here’s a basic “Stereo I/O w/Gain Control” patch template which simply has connected stereo audio input and output output modules. COLOR CODING – Rather than just randomly dropping in modules of different colors, it can be helpful to designate certain modules with certain colors. For example, I always make my audio input and audio output modules white (along with other basic audio routing modules). I usually make vca modules green, delay line modules green or blue, distortion modules yellow or red, cv value modules magenta or aqua, and so on. Come up with a system that works for you, even if it varies on a patch by patch basis. AUTO SHIFT ON OR OFF? – The Auto Shift function defaults to “off”, which most ZOIA users will probably prefer. If you expect to keep things as simple as possible and don’t expect to dive too deep into what ZOIA has to offer or if your fingers just aren’t that dexterous, you may wish to use the Auto Shift function (accessed by pressing + to enter the Config menu). This will make the top row of 8 Shift functions available without having to press which may be easier for some users. Oh Noes! My ZOIAz Aren’t ZOIAing! Halp! I’ve found that sometimes my patches don’t work as expected, and this is usually for two reasons. Either I don’t know what I’m doing, or I did something wrong. Here are a few tips that may help you diagnose a few things you might have done wrong. “FAT FINGER” CONNECTIONS – I’ve found on a few occasions that my patches weren’t working properly because I’d accidentally made a connection that I didn’t mean to make. Sometimes when you’re working really fast, you’ll occasionally touch a module you didn’t mean to. The button is your friend here. But if you don’t catch the mistake and hit before touching another module, you may accidentally make a connection that causes unexpected results. And sometimes you might not notice that you did it until later. This can be especially troublesome if you mistakenly connect modules on different pages where the connection isn’t immediately visible and obvious. So if your patch sounds wonky, and you’re sure that it should be working in a different way than it is, double-check (and triple-check!) your connections to make sure everything is set up properly. NO OUTPUT OR LOW VOLUME? – Make sure your various vca modules and gain controls are set accordingly, especially if they’re connecting to other midi or cv modules. And look at your module connections and connection strength. (Touch two connected modules simultaneously to see their connection strength). AUDIO CLIPPING? – If you ever hear any clipping, simply be mindful of your volume levels between module connections. You can reduce the connection strength between modules to compensate for clipping or adjust the Input Pad in the Config Menu (accessed by pressing + simultaneously). MAXED CPU – If you’re making really complex patches that cross 100% CPU usage, you’ll approach a point where you may hear audio crackling or experience sluggish performance. (The upper limit safe zone for CPU stability in the final pre-release firmware was somewhere around 105-107% before I would notice crackling.) If you find yourself running the CPU a bit hot around 105-107% and still want to squeeze in some extra features in your patch, you should probably start optimizing your patch and thinking about ways to achieve similar results with more effective and CPU efficient routing. It can be very gratifying to create a maxed out CPU patch does a lot and is built efficiently, but there are upper limits. Luckily, ZOIA does have plenty of power available before you reach that upper ceiling. Okay, so for our intermediate/advanced class, I want to talk about creating your own patches from scratch and tweaking existing patches. I’ll reference an example patch I made, the Stereo Flanger, and share some insight into how it was created. Realizing my goals with this patch took a bit of research and a moderate amount of know-how to put together. I hope this patch can help beginners learn about making patches with ZOIA and about the inner workings of flanger effects. My inspiration for the Stereo Flanger was based on the idea of running 2 Chase Bliss Audio Spectre pedals in parallel. I wanted to loosely replicate the general conceptual topology of the Spectre and kind of color outside the lines a bit to make something fun to show how users can build entire pedals from scratch with ZOIA. Also, yes, you can use the Stereo Flanger in mono just fine by plugging your guitar signal into the left or right I/O paths. While my original Stereo Flanger preset is stereo, you can make something similar in mono just the same. That’ll be easier, and you can even get the concept whole patch condensed to one page. A basic flanger (or chorus) is quite easy to create as you’ll just need to replicate your audio signal with one or two delay line modules and modulate one of the delayed signals against either the dry signal and/or the other static delayed signal. Load up the Stereo Flanger preset in ZOIA to see what I did, and reference my tips in this section. This isn’t exactly a step-by-step manual on how I made it, but some explanations are here, and you can see everything I did in the patch. This should give you some helpful insights into building your own flanger effects. Also, consulting the “I’m Your Spectre, I’m Your Zero” section of my own Spectre review and this excellent flanger article by Mr. Black were really helpful when creating my flanger. Here’s the “I/O and Mixer” page of my Stereo Flanger patch. One of the first things I usually do when making any kind of basic “dry/wet” patch is to set up an audio balance module as a wet/dry mixer for 2 audio paths. I’d recommend connecting your dry signal to the In1/Out1 side and using the In2/Out2 side for your wet signals, in this case the delay line modules. Since this delay line will be modulated, you’ll want to link an lfo (or other cv source) to the delay time parameter. But you’ll notice in my Stereo Flanger patch that I didn’t connect the lfo directly to the delay time. Instead, I connected the lfo and a cv value to a cv multiplier and connected the cv multiplier to the delay time. This allows you to use the cv value and its connection strength with the cv multiplier to precisely calibrate the range of delay time that the lfo will modulate between. Then you can use the cv value to determine the “width” or “depth” of your modulation. Read this section carefully and study the way this is implemented in the Stereo Flanger preset as wrapping your head around this concept is essential for creating basic modulation patches that need to vary cv within a precise range. Here’s the page with all the delay line, vca, and lfo modules. Here’s another trick to create a flanger “Regeneration” function. On the modulated delay line, use a vca module to feed the output signal of the delay back into the input. Then you can use the vca to regulate the amount of the signal that feeds back into itself. Instant regeneration. This is also a basic way to setup feedback controls on delay effects in general. You’ll be doing this a lot. In an attempt at creating a “through zero” aspect, I also added another delay line in parallel to the wet side of the audio path. This is a static delay line that is slightly delayed from the dry signal. You can connect a cv value to the delay time and use the connection strength and delay time to set up the range of delay time available for this static delay line. 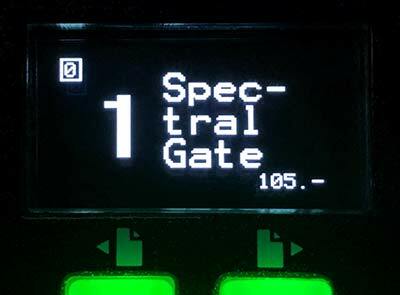 A range of between 0.5mS and 2.5mS would be close to the Spectre pedal, but my preset has exaggerated values as I wanted to give users a wider range of weird sounds. Feel free to dial in your own range settings. You’ll also see in the Stereo Flanger patch that I used audio inverter and audio in switch modules linked to the left stompswitch to let users flip the phase of one of the delayed signals. This was intended to produce positive and negative flanging sounds. I made this patch in a way where users could go in, play with it, and maybe come up with ways to make it their own. Dynamic Flanging – Try setting up an env follower analysis module to control either the rate (cv control) of the lfo modulated delay line, or see what happens when you connect the env follower to control the time of the other static delay line. Tri-Flanger? – What about setting up 2 or 3 or more modulated delay lines in parallel with varying lfo rates? You could get really crazy here and make all kinds of weird flanging sounds unlike anything anyone’s ever heard before. The only limit is your imagination and seeing how much wild stuff you can pull off before you reach the upper CPU limit. Okay, so it’s very important to see how other people are using ZOIA as there’s no right or wrong methodology, only what works for you. And someone else’s ideas may expand your ZOIA awareness and inspire you. Cuckoo goes in-depth with a solid beginner masterclass that covers a lot of ground. Here’s a resource by aBunchOfPedals that approaches ZOIA from a guitarist’s perspective. You can expect to see more features added to ZOIA over time. There will be more effects modules coming, and I’m looking forward to the midi modules as those should open up some exciting new possibilities. Also, a big thing to get excited about are supermodules that will allow users to combine an assortment of modules into a space-saving combination modules. The supermodules will help improve workflow, use common module combos more easily, and let you save space on pages. 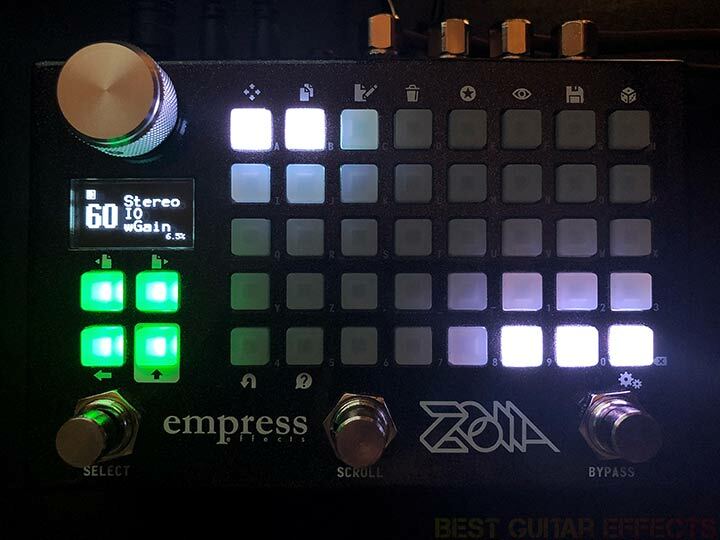 If there are any features or things you want to see added to ZOIA, be sure to become a member of the Empress ZOIA New Features Voting Forum so that you can help guide the development of this product. The ZOIA has revealed itself to be the missing link. Several of my own effects ideas that I’ve been trying to achieve for years have been immediately realized after wrapping my head around using ZOIA. Can I make that pedal concept with ZOIA? Can I make a better version than that pedal? How easy will it be make? I have a small list of pedal concepts inspired by other pedals that I want to re-create and improve in ZOIA. And certain new pedals (some unreleased) have inspired me to see if I can build them in ZOIA just to challenge myself. But before you start fearing that ZOIA will cannibalize all the other pedals out there, know that ZOIA novices and intermediate users will often find a threshold where the amount of learning and mental effort required to realize a complex patch vision may not warrant the time and effort it takes to figure things out. But engineers have been building pedals for us for years, and now we have a tool that allows us to build effects for ourselves. I’m predicting dedicated users will help each other out, and there will be the emergence of at least a few power users who will crank out some mind-blowing ZOIA patches to share with the user community. The ZOIA represents a radical paradigm shift that will make many musicians question the previous limits of the pedals they use. Why buy a simple chorus pedal when you could build your own and create a dozen variations to suit every possible need you may have? But that question isn’t completely rhetorical. It’s obviously work to do what builders have previously done for us. And ultimately, ZOIA isn’t for the passive and lazy. ZOIA is for the visionaries, the creators, and the musicians who want to push boundaries and break new ground. Empress Effects has given us a Promethean gift with ZOIA, and those of us who wish to remove the barriers of creative censorship imposed on our collective imagination by the limitations of pre-made effects will find ZOIA to be a remarkable vessel into the unknown. ZOIA offers the freedom to create a new future of sound. Go forth, and be inspired.